Height and Weight at Time of Disappearance: 152 cm/ 4' 11"
Distinguishing Characteristics: White female. Brown hair; brown eyes. Stocky build. Olive complexion. Shirley left for a morning walk along a rain forest road at Paluma. She was setting off from her weekender cottage along a 5 km route she had taken for the past eight years. She was never seen again. Thick jungle, abandoned mines and the depths of a dam were scoured in a 120-man search. She left behind her husband and four children - but no clues. What happened to our mum? WHAT is not known about the presumed death of Shirley Schmidt haunts those left behind most. This week, 20 years ago, she left for a morning walk along a rainforest road at Paluma in a floral summer dress. The 56-year-old diabetic was setting off from her weekender cottage along a 5km route she had taken for the past eight years. Her case continues to frustrate police, who even in their retirement remain baffled. Shirley's surviving family are convinced somebody knows something and they are pleading for answers. Through tears her daughter Leah James, of Townsville, told her family's theory this week. "We are still searching for closure and we feel that closure may come if her walking a misty road and a vehicle knocking her - and a panic - and a disposal of the body ... ," she said. "If that is the right scenario then somebody should know about it - if we could only find out. "We are appealing for people to come forward. "We are not looking for names, we are not looking for anyone to be reprimanded, we are just looking for knowledge." On December 15, 1985, Paluma temperatures peaked at 33C. Thunderstorms had been predicted for that afternoon but by then 26 volunteers were combing the site. That number grew to more than 100 police, State Emergency Service personnel and local volunteers as well as a National Safety Council helicopter. But after three fruitless days the search was called off. The 152cm tall stocky mother with brown eyes and an olive complexion had vanished. "It was just frustrating, we could not get a lead - there were no suspicious circumstances," now-retired search co-ordinator Inspector Fred Angus said. "We did a thorough search, detectives interviewed everybody. "It was difficult, we sectioned the area off and had people who were only 10m apart, starting at the side of the road and walked into the scrub. "We were in danger of losing our searchers, the jungle was impenetrable. "We had no sightings - nothing at all - the only thing I could put it down to was if she wanted to get lost, that was the place to go." Insp Angus said there was nothing about her life that raised suspicion. "It was unusual circumstances, we took into consideration all of the scenarios but she was not suffering from any major illness, she would not have got a lift with anybody." There was a sombre mood as they searched which turned eerie as the mist rolled in. "At 4pm every afternoon we had to suspend searching," Insp Angus said. "Low cloud would roll down the street and you could only see 10 feet in front of you - it was quite eerie. "Paluma did not have a big community, nearly everybody was interviewed, everybody was baffled. "We covered everything. Even Forestry covered the tracks she did not normally walk. "There was not a shred of clothing ... nothing, nothing at all. And it was thick jungle." Insp Angus said he did not agree with the family's theory. "It ended up going to the coroner for an inquest but I do not agree there is someone out there who knows something - there has been no inkling of any information at all," he said. "You would not leave 100m from those tracks unless you did not make it back, it was that thick you could not get in without a machete. A cane knife - the wait-a-while was so thick you needed secateurs because you did not have room to swing a machete. "But there was no reason for her to leave that I know of." A coronial inquiry found four years after she went missing that there was no evidence Mrs Schmidt's disappearance was planned. "I can find no cause for the disappearance," Coroner Ian Fisher said. "There is certainly no evidence to suggest that such disappearance was planned by Mrs Schmidt - only circumstances which would dissuade one from that view." Insp Angus was 47 when he was put in charge of the search. At the time he said it was the most baffling he had seen in his 30 years in the force. He has been retired for 11 years and vows that is still the case. "There is no closure, that's the worse thing," Insp Angus said. And two decades on Leah still feels it. It took her 18 years to return to Paluma. "When she went missing I was six weeks off having a baby, a son," she said. "They had my nephews staying with them that weekend. When she did go up her habit was to go walking. "Although there was a concerted search at the time and a coronial inquiry did not come to any conclusions other than she is presumed deceased ... there are several scenarios as to what may have happened. "On behalf of myself and other members of the family I ask that if there is anyone out there who has any further information that may assist in solving our mother's disappearance could they please contact the Townsville Police or myself," she said. The Coroners Act 1958 provides in s43(1) that after considering all of the evidence given before a coroner at an inquest the coroner shall give his or her findings in open court. What follows are my findings in the inquest held into the disappearance of Shirley Schmidt. Copies will be provided to her family and posted on the web-site of the Office of the State Coroner. On 15 December 1985 Shirley Schmidt set off on her usual morning walk from a holiday house she shared with her husband Raymond. Mrs Schmidt did not return from her walk and, despite an extensive search and subsequent investigations, has never been found. Before turning to the evidence, I will say something about the nature of the coronial jurisdiction. In this case an inquest was held into Mrs Schmidt’s disappearance on various dates between 1 December 1987 and 17 August 1989 when Coroner I. A. Fisher delivered findings. Essentially those findings were that there was no evidence available to the Coroner that would allow a finding that Mrs Schmidt was deceased. In 2004 the Missing Person Unit of the Queensland Police Service (QPS) conducted a review of Mrs Schmidt’s file. As a result of that review, which included further unfruitful investigations, the matter was referred to the Office of the State Coroner. I requested that the Attorney-General direct that the inquest be reopened pursuant to s47 of the Act and such direction was issued. The reopening of the inquest was held on 5 December 2007. However, since the disappearance and likely death being investigated occurred before 1 December 2003, the date on which the Coroners Act 2003 was proclaimed, it is a "pre-commencement death" within the terms of s100 of that Act and the provisions of the Coroners Act 1958 (the Act) are therefore preserved in relation to it. These findings replace previous findings made1 and seek to establish the cause and circumstances Mrs Schmidt’s disappearance and whether Mrs Schmidt is alive or dead. Pursuant to s10 of the Act, a coroner has jurisdiction to inquire into the cause and the circumstances of a missing person’s disappearance and into all such matters that will be likely to reveal whether the missing person is alive or dead. if such missing person is alive or likely to be alive – the whereabouts of the missing person at the time of the inquiry. Proceedings in a coroner’s court are not bound by the rules of evidence because s34 of the Act provides that "the coroner may admit any evidence the coroner thinks fit" provided the coroner considers it necessary to establish any of the matters within the scope of the inquest. In the case of a missing person a coroner must find if possible, whether, on the balance of probabilities the person is alive or dead. The question therefore is whether it is more probable than not that Mrs Schmidt is deceased. clear that includes being given an opportunity to make submissions against findings that might be damaging to the reputation of any individual or organisation. The possibility of adverse findings being made in this case does not arise on the evidence. I turn now to a description of the investigation into the disappearance. Senior Constable Cole of the Paluma Police, as he then was, initiated an extensive search of the local area on the morning of Mrs Schmidt’s disappearance. He was alerted to the disappearance by Mrs Schmidt’s husband Raymond, who had become concerned when his wife did not return from her morning walk. Mr Schmidt reported the disappearance to police at about 10.40am on 15 December 1985. The search commenced with the officer and Mr Schmidt driving what was thought to be Mrs Schmidt’s usual walking route, checking at the couple’s holiday residence and questioning local residents. Following that Acting Inspector Angus of the Townsville Police Station was called to assist arranging a more comprehensive search of the area. By the afternoon a group of 6 police officers and about 20 volunteers combed the local area. That search was called off at 6.00pm. On 16 December 1985 a full scale search of the Paluma region was commenced employing the services of police, SES personnel, the National Safety Council helicopter, Salvation Army and Townsville Catering staff, as well as volunteers. Members of the defence force on exercise in the local area also assisted in the search. That search covered the Paluma township and an area surrounding the walking route on Mt Spec-Ewan Road from Windy Corner to the bitumen end of that road and an area off the road extending for approximately 20 metres. Information regarding a possible sighting of Mrs Schmidt was received at lunch time on Monday, 16 December. Two holiday-makers, Mr Carl Barlow and Ms Tanya Cooper reported that they saw a woman they thought fitted the description of Mrs Schmidt at the Paluma Dam Picnic area at about 12.30pm on Sunday, 15 December. They said she was with a man and their manner led them to assume they were a couple. Mr Barlow and Ms Cooper were shown a photograph of Mrs Schmidt and they confirmed their opinion that she was the woman they saw. It is unclear if the couple were ever shown a photograph of Mr Schmidt and it is unfortunate they were not shown a photoboard rather than a single photograph of Mrs Schmidt. On the basis of that possible sighting, the search was reoriented towards the Paluma Dam, including the dam, surrounding bushland and tracks. Extensive searching on foot, by four wheel drive vehicle, by boat on the damn and helicopter over the area was fruitless. The further significance of that possible sighting was that Mr Schmidt told police that his marriage to Mrs Schmidt was not without problems. They had been seeing a counsellor, Mr Bradley Levingstone, who last saw the couple on 12 December 1985. He was interviewed during the course of the investigation as was another counsellor, Mrs Bell Addison who was a close friend of Mrs Schmidt’s. The search of that route revealed the road to be bound on both sides by dense rainforest with numerous cuttings and embankments on either side of the road. There are a number of places along the road where the forest drops steeply off the road. The shoulder is narrow and covered with thick grass. The road was frequented by tourists on account of it being the only access to the Hidden Valley/Ewan area and to the dirt road leading to the dam. Clifford Firth, a Paluma local resident observed in his statement to police that in certain cloud/mist condition vehicles can approach without one being able to hear them, or know the direction of travel. There was evidence from a local resident Cameron McKenzie that there was mist on the morning of the disappearance. A full line search of the area surrounding the walking route was undertaken to the point of impenetrable dense forest and difficult creek crossings. It also covered a smaller dam nearby, the town’s water supply, various trails, old mine sites and caves. On Wednesday 18 December the search was scaled down but included a re-check of the Paluma dam by boat. It seems a relative of Mrs Schmidt offered to use scuba equipment to search a dam at the rear of Smith crescent as well as the town water supply.9 It is unclear if this was done. The investigating officer describes the search as particularly difficult given the humidity, difficult terrain and presence of ticks, snakes and leeches. Senior Constable Cole quite appropriately praises the efforts of all those involved. A number of people reported foul smells at the rubbish dump and other locations in the area. Those reports were followed up and were ultimately fruitless. In addition, a number of witnesses were interviewed during the course of the investigation and information gathered by the police was appropriately pursued. A summary of the investigative steps taken is found in the police ‘running sheet’ which is contributed to by various officers. It details a thorough investigation. During the course of the inquest information came to hand regarding a timber cutters ‘break-up’ party that had been held at Ingham the night before Mrs Schmidt’s disappearance. A follow-up party was held the following day at Hidden Valley and the party-goers would have driven the route Mrs Schmidt is thought to have walked. A theory developed that Mrs Schmidt may have been hit by a car while walking. Further investigations were undertaken regarding that information. There is some controversy in the records regarding missing material relating to those inquiries. It seems that a Detective Gray attended to the inquiries as part of the initial investigation but was later suspended from duty. In the event, original interview notes were not available to investigating police. Despite that, no evidence of involvement of the timber cutters was revealed. Proceedings were adjourned a number of times in an effort to have Ms Cooper give evidence. As mentioned she was the woman who reported seeing some near the dam. Unfortunately she could not be located. Detective Gray gave evidence before Mr Nolan at the Coroners Court at Southport on 19 May 1989. At that time he was suspended from duty. He played a part in the investigation and the running sheet previously mentioned was tendered through him. The inquest closed with finding being delivered by Mr Fisher at the Townsville Coroner’s Court on 17 August 1989. No such evidence was revealed by those investigations. Finally, staff of this office obtained a statutory declaration from Judith Malpas (one of Mrs Schmidt’s daughters) to the effect that neither she, nor any other family member, have had any contact with their mother since prior to the disappearance. I am satisfied that the investigation was thorough and competently carried out. The inquest was re-opened on 5 December 2007. Ms Julie Wilson was appointed Counsel Assisting and another of Mrs Schmidt’s daughters, Leah James, was present in court. Submissions were made by Ms Wilson based on the investigation materials already gathered. Those materials did not disclose any lines of inquiry that could be usefully pursued at this stage. Accordingly no witnesses were called to give evidence. Ms James indicated to the court that the family accepted that no further productive investigation could now be undertaken. Some of the evidence revealed during the course of the search has been mentioned above. I turn now to the evidence in some more detail. I can not, of course, even summarise all of the information contained in the exhibits but I consider it appropriate to record in these reasons the findings of fact on which I have based my decisions concerning the particulars of the disappearance. Shirley Schmidt was born on 4 November 1929. She was married to Raymond Schmidt who is now deceased. She had four children – Leah, Judith, Rosemary and Frederick who is now deceased. The witnesses interviewed gave some insight into Mrs Schmidt’s life and character immediately prior to her disappearance. That evidence is inconsistent with a person who might stage a disappearance and create a false identity. attending James Cook University together. She observed Mrs Schmidt to be mentally and physically fit, aside from the "annoyance" of her diabetes. Mrs Venn told police that her friend committed to her family and to music. She had music students that Mrs Venn did not think Mrs Schmidt would abandon willingly. She also thought that if Mrs Schmidt was thinking of leaving her marriage, she would have the fortitude to tell her husband. Mrs Venn spoke with Mrs Schmidt the Sunday prior to her disappearance and she "appeared her normal self".10 She had been on an excursion with Mrs Schmidt some time prior and noted her to be capable with a map and compass. Even so, there is no suggestion that Mrs Schmidt was any such ‘excursion’ on the morning of her disappearance. Mrs Venn did not believe Mrs Schmidt would venture into unfamiliar territory on her own. She had observed her friend returning from the usual morning walk and told police Mrs Schmidt normally dressed in joggers, socks and a towelling sleeveless dress. Mr William Venn knew Mr and Mrs Schmidt through his wife. He and Mrs Venn had visited the Schmidt couple at their homes in Townsville and Paluma. He had observed the family dynamics to be happy and normal. He had seen Mr and Mrs Schmidt disagree but observed them to be respectful of their differences. Mrs Schmidt expressed great interest for her children and grandchildren. Two of Mrs Schmidt’s daughters, Judith Malpas and Leah James were interviewed by police on 17 January 1986. Mrs Malpas last saw her parents on Saturday 14 December 1985 and did not notice anything unusual. Likewise, Mrs James did not notice anything out of the ordinary when she saw them on 11 December 1985. Mr Schmidt went shopping while Mrs Schmidt stayed at home. The house cleaner was also at the house. Mrs Schmidt was, by all accounts a loving mother and grandmother (to 13 grandchildren at the time). At the time of her disappearance her daughter Leah was expecting a child. She was a piano teacher with over 50 students. She had a passion for music which was well known. She had recently completed a degree in social sciences and had applied for a counselling position at the university. Apparently she had been short-listed and was very much looking forward to her new career. The evidence describes a woman who was positive about life and who was making plans for the future at the time of her disappearance. As already indicated police obtained information from Mr Barlow and Ms Cooper to the effect that they had seen a woman fitting Mrs Schmidt description at about 12.30 pm on the day of the disappearance at the Paluma Dam. Ms Cooper described the woman she saw as being in her 50’s and in company with a male person. Ms Cooper said that the woman did not appear to be distressed or concerned and the pair appeared to be a couple. Mr Barlow, unlike Ms Cooper, did not see the woman with a man and neither could say if the woman was wearing spectacles (which Mrs Schmidt wore). 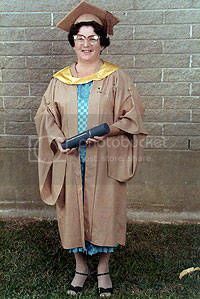 inquest in 1987, Mr Barlow gave evidence that the dress the woman was wearing was a light orange or light brown. Police interviewed Mr Barlow and Ms Cooper a number of times and as mentioned and Mr Barlow gave evidence at the inquest. The sightings were discounted on account of the unlikelihood of Mrs Schmidt walking the distance to the dam and the further unlikelihood of her taking up with another man (on the basis of statements from friends). There were also inconsistencies in the descriptions given. Mr Robert Shelly claimed to have seen an elderly couple walking between Paluma and the dam turnoff at about 1.30pm on 17 December 198512. By that stage two days of extensive searching in the area had proved unsuccessful. In respect of the possible sightings of Mrs Schmidt with a man in the vicinity of the damn, the evidence of Mr John and Mrs Frances Morland is significant. They owned a weekender in Paluma and particularly remembered driving to and from the Paluma Dam on 15 December. Between 7.15 and 8.30 am, the Morlands drove the route Mrs Schmidt is thought to have walked and they did not see Mrs Schmidt whom they knew. That evidence, together with the evidence of Mr Barlow indicates that the dam was populated by a number of people on the morning of Mrs Schmidt’s disappearance and is unlikely to be a place where Mrs Schmidt would go with a secret companion. On 19 December 1985, Leone Dewis told police she saw a woman walking towards Paluma at about 9.50 am on 15 December. The woman was wearing a floral dress and was medium build (Mrs Schmidt was a large build). Ms Dewis later saw the woman walking past Ivy Cottage (the home of her friends, Mr and Mrs Venn) which is past Mrs Schmidt’s home. The marriage logically came under scrutiny on account of the evidence suggesting Mrs Schmidt might have been seen with another man at the dam, in addition to evidence that the marriage was strained. Two marriage counsellors were interviewed by police. Mrs Addison was interviewed by police on 16 December 1985. She was a close friend of Mr Schmidt and although she was aware that there were problems in the relationship she noted that Mrs Schmidt doted on her grandchildren and was not interested in other men. Mrs Addison’s evidence was that said she had spoken deeply with Mrs Schmidt in the past and in her opinion Mrs Schmidt was not suicidal nor the type of person to run away with another man. Leah James told Counsel Assisting that while her parents had issues at the time of the disappearance, those were no more serious than those which face all married couples from time to time. Mrs James was 30 years old at the time and therefore, in my view, able to make that observation reliably. I am satisfied that there is no evidence that the marriage was in such a state that would provoke Mrs Schmidt to leave it in the manner of her disappearance. A person named Rodney Jones came under suspicion by police on account of his apparently unusual involvement in the search for Mrs Schmidt. He was interviewed by police and gave an account of his whereabouts at the time of Mrs Schmidt’s disappearance. That account was verified by Mr Jones’ parents who were also interviewed by police. Further, Mrs Schmidt’s relatives suggested that police interview Laurie Colwell who was a boarder with the Schmidt’s while he was at university. There was an argument between him and the Schmidt’s prior to the boarding arrangement being terminated. They also asked that Duggan Dugai be investigated. He was a resident at Mount-Spec near Paluma and had made a nuisance of himself causing an argument with the Schmidt’s. Police attempts to locate those two people failed. There is no evidence to suggest that either of those men had a hand in the disappearance. Evidence regarding Mrs Schmidt’s mental and physical health is largely anecdotal and was provided by some friends and family. I accept that evidence. It is noteworthy, however, that the MPU checks of the Health Insurance Commission and Pharmaceutical Benefit Scheme databases did not reveal any record of Mrs Schmidt having sought medical attention or medication since her disappearance. I am required to find, so far as has been proved, the cause and circumstances of Mrs Schmidt’s disappearance, whether she is alive or dead and if alive or likely to be alive – the whereabouts of Mrs Schmidt at the time of the inquiry. On account of my findings in respect of the second question, it is not necessary to address Mrs Schmidt’s whereabouts now. As a result of considering all of the material contained in the exhibits and the evidence given by the witnesses, I am able to make the following findings. The evidence set out above in these findings describes the circumstances surrounding Mrs Schmidt’s disappearance. Sadly, the cause of her disappearance remains a mystery. Theories developed during the course of the investigation relating to the involvement of others, or a marriage breakdown that led to desertion, but there is no reliable evidence to support any of them. Accordingly, I find that Mrs Schmidt disappeared while taking her regular morning walk at Paluma on 15 December 1985, I regret that I am unable to make any findings as to the cause of her disappearance. I find that she has made no contact with persons whom she would reasonably be expected to contact were she alive. Nor is there any other evidence indicating that since 15 December 1985 Mrs Schmidt is alive. I am therefore of the view that the evidence is sufficient to prove that Shirley Schmidt is deceased. I find she died on or about 15 December 1985 in the vicinity of Paluma in North Queensland. I am unable to ascertain the cause of her death.